In 2007, SAHA sponsored the publication of Red on Black: the Story of the South African poster movement by Judy Seidman, who was the SAHA poster curator at the time. This publication uses struggle posters, drawn predominantly from the SAHA Poster Collection (AL2446), to explore the history of these posters, providing an in-depth look into the artistic, political, and organisational forces within the South African poster movement. 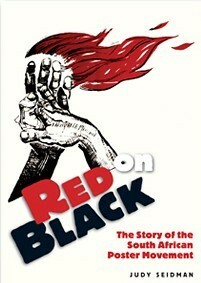 Copies of Red on Black: The Story of the South African Poster Movement are available for purchase from bookshops or STE Publishers.